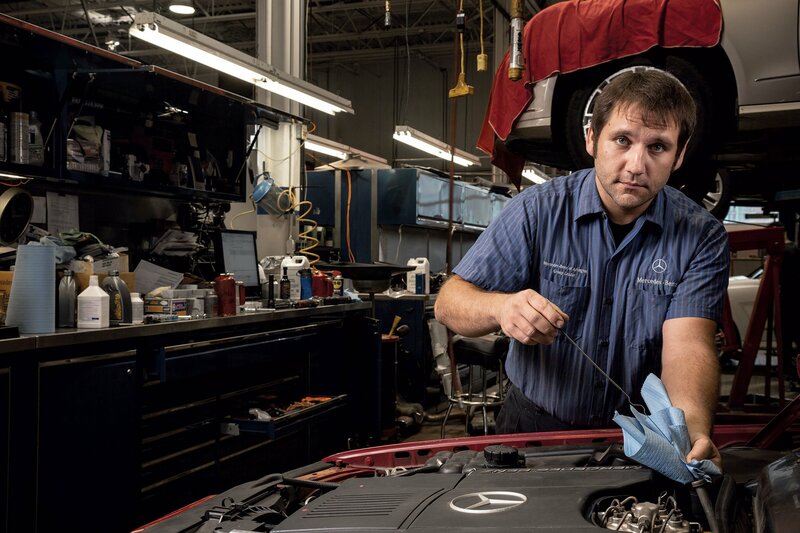 internship at Mercedes-Benz of Arlington on North Glebe Road, which offered training to qualified young people in the hopes they might become service technicians. “I started out doing oil changes and tire maintenance, mainly,” Frame says. During his senior year he spent mornings in school, then drove across town in his ’72 Plymouth Valiant to work as an apprentice at the dealership. The shop was big and organized. He loved the look of the cars and their engines. When Frame graduated in 2003, he took a week off and then went back to work. “They said, ‘You’re on the line now.’ ” His apprenticeship was over and he was an official member of the service team, able to take the lead in trying to diagnose why all of the lights on the dashboard of an SL500 were turning on. Fifteen years later, he’s a team leader at the shop, fixing luxury cars that have come to run on increasingly complex electronic systems. Over spring and winter breaks, he sometimes mentors other Arlington high school kids who come in to observe and learn the trade. 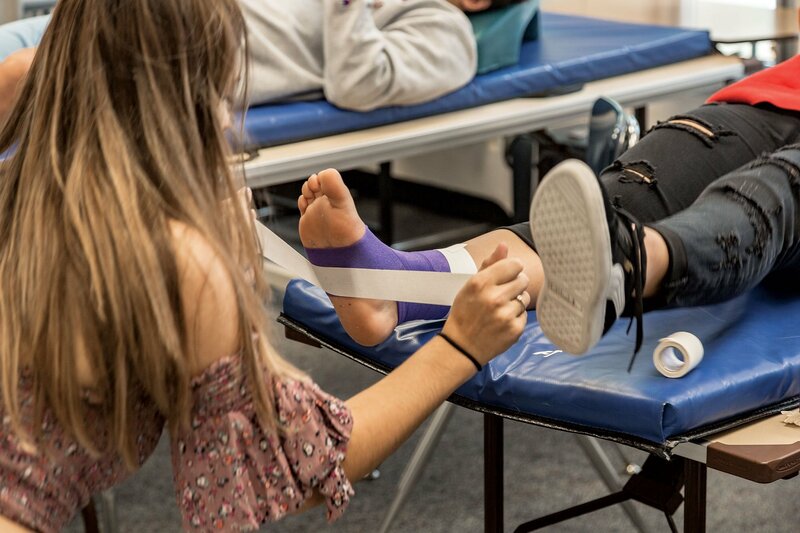 Physical therapy students at the Arlington Career Center. Photo by Benjamin C. Tankersley. Jobs like Frame’s used to be known as “vocational jobs.” Now they’re sometimes called “middle-skills jobs,” although economists consider that term a misnomer, given the intensive hands-on training and technological acumen that is so often required to land them. In certain cases, tradespeople at the tops of their fields might even end up making six figures, notes Steven B. Partridge, vice president of workforce and economic development at Northern Virginia Community College (colloquially known as NOVA).